At the start of the year, the Foundation wishes you a prosperous year of the monkey. Letâ€™s start the year with a greener move: reuse red envelopes that you received, as well as recycle the aluminium cans and plastic bottles after all the celebrations! In the Chinese zodiac sign, monkey symbolises dexterity. It is best represented by the Monkey King, Sun Wu-kong, from â€œThe Journey to the West"; smart, brave and he can transform into 72 objects. Primates in the real world share the great physical variation of different shapes and sizes. More than half of the worldâ€™s 425 primate species and subspecies with known conservation status are classified as threatened with extinction on the IUCN Red List of Threatened Species. They are regarded as flagship species of forests, playing a key role in dispersing the seeds of tropical forest tree species, some of which have a critical important role in mitigating climate change. The burning and clearing of tropical forests not only destroy habitats, but also increase the emission of greenhouse gas. Many species are hunted as pet as people think they are adorable, or even as food; these threats are pushing many primates to the brink of extinction. The list of the world's 25 most endangered primates has been drawn up by primatologists every two years to highlight those primates most at risk, so as to attract the attention of the public and to put pressure on national governments to contribute resources to implement conservation measures. The latest list in 2014-2016 includes 10 species from Asia, of which the Foundation provided funding to help conserve four of them: Sumatran orangutan and Javan slow loris in Indonesia, as well as the Delacourâ€™s langur in Vietnam (with less than 200 existing individuals), and the Hainan gibbon in Mainland China which numbers about 25 individuals. With forest cleared for oil palm plantation, Sumatran orangutans are forced to forage in peripheral areas where they come into conflict with farmers. Therefore, the Foundation sponsored the Orangutan Information Centre (OIC) in Indonesia to alleviate human-orangutan conflict. 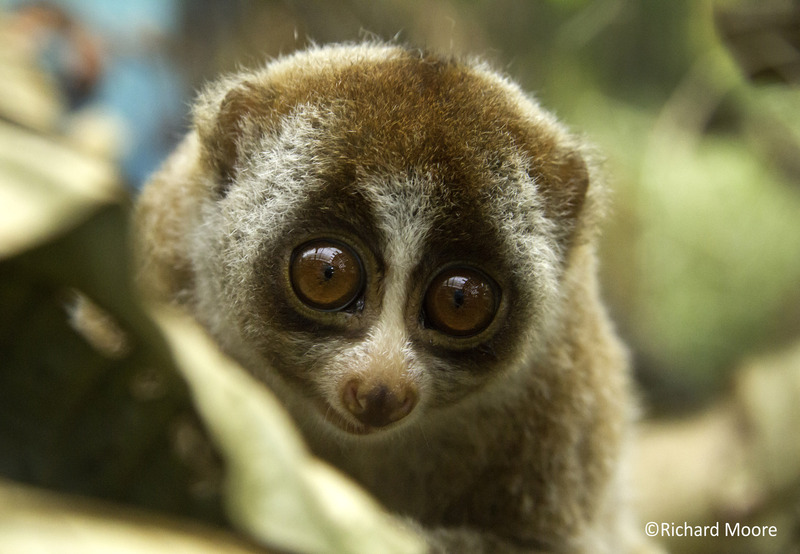 The nocturnal Javan slow loris has fallen victim to the illegal pet trade, and the Foundation has provided three-year funding to International Animal Rescue-Indonesia for the recovery, wild release and conservation of the confiscated slow loris. 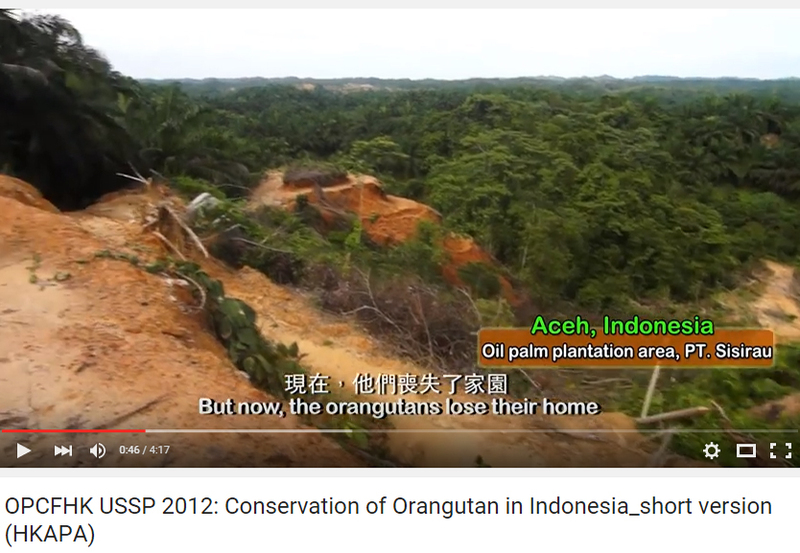 In 2012, students from Hong Kong Academy for Performing Arts received OPCFHKâ€™s sponsorship to film several documentaries, with the aim to promote orangutan conservation through reducing consumption on palm oil. International Animal Rescue â€“ Indonesia rescues Javan slow loris from illegal pet market or the wild. Through a series of rehabilitation, healthy ones will be re-introduced into the wild. Back in Hong Kong, our country parks are now home to about 2,000 macaques. The population has increased due to uncontrolled feeding by human in the past. 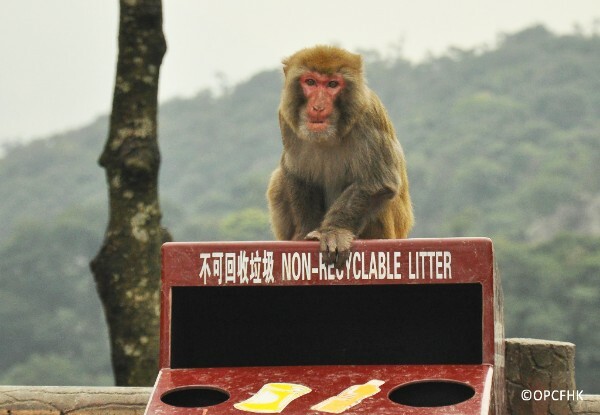 Snatching food from people and getting food from trash bins have created conflict between human and macaques. To control the wild population and mitigate conflict, the AFCD has launched the population survey and contraceptive programmes, which the Foundation has been supporting since 2009. The contraception programme has been successful in reducing the birth rate of macaques from over 60% in 2009 to below 30%. The ancestors of these macaques were introduced to Hong Kong to help us get rid of a poisonous plant, one of their natural food, found around reservoirs. And now, how could we not thank them but harm these guardians of our local freshwater resources? In your next visit, please appreciate their natural behaviour; do not feed them as it is illegal, and remember to bring your garbage back and treat them properly. Please leave them a beautiful place to live in harmony with humans. 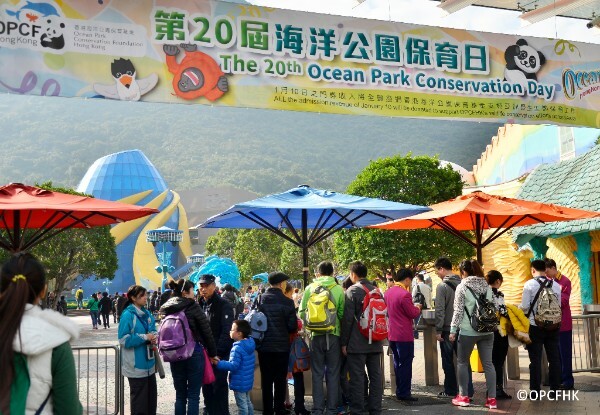 The Foundation is celebrating the 21st Ocean Park Conservation Day on March 19. Themed under biodiversity, the Foundation will introduce the importance of biodiversity to visitors with creative activities. Biodiversity refers to the number and variety of life on Earth. Different species from diverse ecosystems are interrelated and they help maintain the delicate balance of the environment. Through seeing juvenile horseshoe crabs and trying out how front-line scientists conduct research in the field by joining workshops and games, visitors are encouraged to pledge a greener lifestyle through Buy Smart, Eat Smart and Use Smart. Whatâ€™s new and special is this year we have a tour led by specialists where visitors could appreciate wild birds and trees inside Ocean Park. Mark your schedule, see you there! 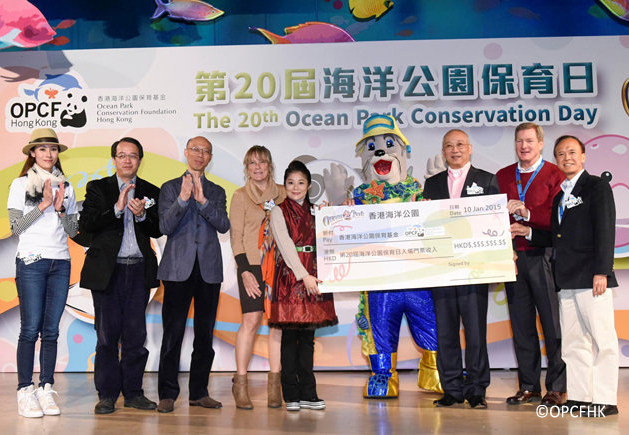 Up till now, Ocean Park donates the entire admission revenue of Conservation Day to the Foundation to support conservation efforts for Asian wildlife. 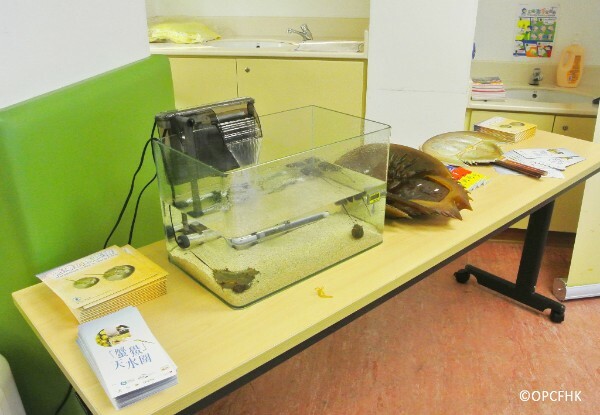 Students participated in the Juvenile Horseshoe Crab Rearing Programme sponsored by the Foundation will join hands with students from Guangxi to call for action to conserve the living fossil. For the 2nd year, the Foundation concluded the â€œRun for Survivalâ€ event successfully on February 28. 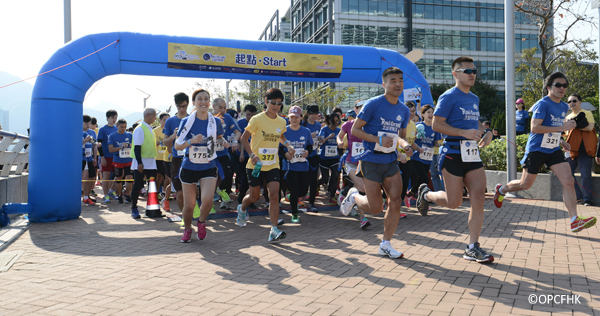 About a thousand participants joined the run in Hong Kong Science Park. Under the protection of â€œConservationistsâ€, â€œMarine Animalsâ€ survived the attacks of â€œOcean Killersâ€ and reached the marine sanctuary. The participants all helped save the ocean with their steps and smiles. Whatâ€™s new, this year we have the Leadersâ€™ Cup, aiming at arousing the public awareness of conservation. We were delighted to have Mr. Kenny Lau, Junior Ambassador of the Friends of the Foundation and Mr. Lau Ming-wai, BBS, JP, Deputy Chairman of Ocean Park Corporation, joining the run to support local marine conservation efforts with Mr. Vince Ng, media freelancer, Mr. Jacky Chen, Chief Operating Officer and Executive Director of Regina Miracle International (Holdings) Limited and other leaders from different industries. Awards of Super-speed Marine Animals, Super-speed Conservationist, and Best Dressed Award were presented to appreciate the support of the top competitors. We were delighted to have Mr. Wong Kam Sing, JP, Secretary for the Environment, Mr. Patrick Lai, Acting Assistant Director (Country & Marine Parks) of AFCD and Mr. Jacky Chen, Chief Operating Officer and Executive Director of Regina Miracle International (Holdings) Limited joining the board of OPCFHK to present awards and celebrate the success of the event. 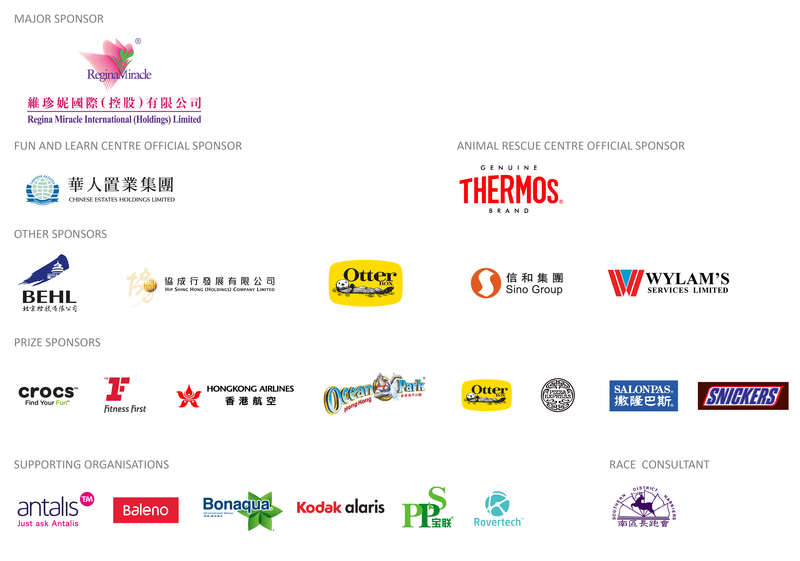 The guests of honour together showed support to conservation by joining Run For Survival. The charity race was kick-started by the participants of the 10 km Time Challenge. 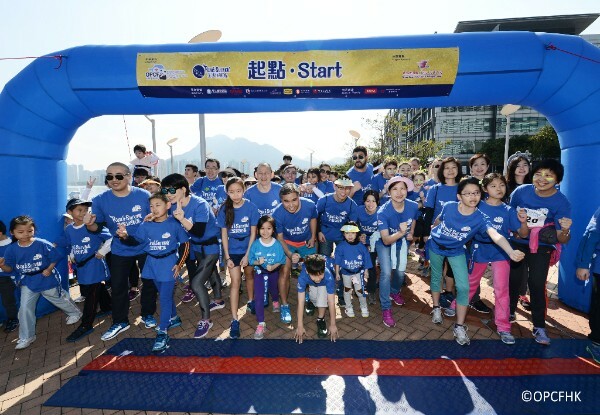 In this fun run, the Foundation enriched the run with information on three marine issues which do harm to our oceans, including marine debris, overfishing and pollution. Through the Biodiversity Twister and Jenga games, as well as upcycling workshop, we encouraged people to take actions to protect our marine environment. We would like to thank Major Sponsor, other sponsors and supporting organisations, as well as volunteers for making this event successful. Every staff in OPCFHK strives to spread conservation messages to a wide audience and speak up for our animal friends who cannot speak up for themselves. Check out our website for the past issues. We need your help to sustain our efforts to conserve wildlife. Join us as our member of the Friends of the Foundation (download application form) to help us fund more conservation projects and save more species. Together we make a difference! Â©2016 Ocean Park Conservation Foundation, Hong Kong, All rights reserved. If you do not wish to receive further email messages from us, please send email to opcf@oceanpark.com.hk or click here.